Javier Mallarino is a living legend. He is his country's most influential political cartoonist, the consciousness of a nation. A man capable of repealing laws, overturning judges' decisions, destroying politicians' careers with his art. His weapons are pen and ink. Those in power fear him and pay him homage. After four decades of a brilliant career, he's at the height of his powers. But this all changes when he's paid an unexpected visit from a young woman who upends his sense of personal history and forces him to re-evaluate his life and work, questioning his position in the world. In Reputations, Juan Gabriel Vásquez examines the weight of the past, how a public persona intersects with private histories, and the burdens and surprises of memory. In this intimate novel that recalls authors like Coetzee and Ian McEwan, Vásquez plumbs universal experiences to create a masterful story, one that reverberates long after you turn the final page. Juan Gabriel Vásquez's previous books include the 2014 International IMPAC Dublin Literary Award winner and national bestseller, The Sound of Things Falling, as well as the award-winning The Informers, The Secret History of Costaguana, and the story collection Lovers on All Saints' Day. Vásquez's novels have been published in twenty-eight languages worldwide. After sixteen years in France, Belgium, and Spain, he now lives in Bogotá. Anne McLean translates Latin American and Spanish novels, short stories, memoirs, and other writings. She has twice won both the Independent Foreign Fiction Prize and the Premio Valle Inclán, and received the International IMPAC Dublin Literary Award with Juan Gabriel Vásquez for his novel The Sound of Things Falling. She lives in Toronto. "The narrative escalates, the mystery deepens, and the scope of the story widens with each page. This terrific novel draws on Colombia's tragic history and cycles of violence to tell the story of a troubled man trying to come to grips with the distant forces and events that have shaped his life." "A fine and frightening study of how the past preys upon the present..."
"I felt myself under the spell of a masterful writer. Juan Gabriel Vásquez has many gifts--intelligence, wit, energy, a deep vein of feeling--but he uses them so naturally that soon enough one forgets one's amazement at his talents, and then the strange, beautiful sorcery of his tale takes hold." 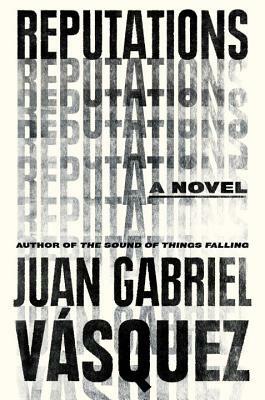 "Juan Gabriel Vásquez is one of the most original new voices of Latin American literature." "For anyone who has read the entire works of Gabriel García Márquez and is in search of a new Colombian novelist... a thrilling new discovery."